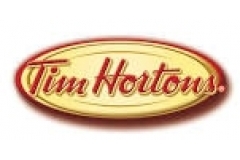 The first Tim Hortons restaurants offered only two products - coffee and donuts. The selection of donuts to enjoy was highlighted by two original Tim Hortons creations, the Apple Fritter and the Dutchie. They became the most popular donut choices in the 60's, and remain two of the most popular today.